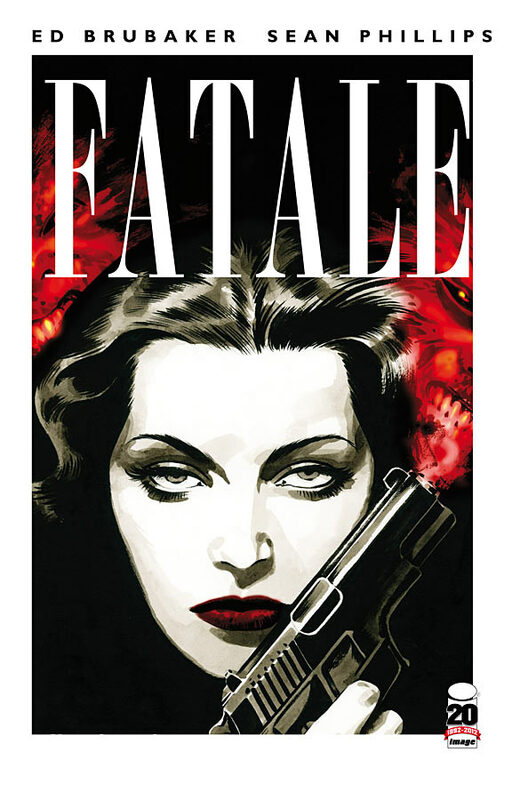 Ed Brubaker’s Fatale combines 1950’s noir with the horror approach of H.P. Lovecraft to bring us a crime story. We begin at renowned author Dominic Raines’ funeral which is coordinated by his godson, Nicolas Lash. As Lash leaves the gravesite, he bumps into an eye-catching woman named Jo who reveals a connection to his family. Later on, catastrophe enters Nicolas’ life going eighty miles an hour as car chases, explosions, attempted murder, a killer airplane and lost body parts set the stage for a trip to the past that begins to unravel a mystery. If you are looking for something besides the superhero thing, look no further because this is it! This is not a story you can simply skim through as you really need to read every word balloon and examine every panel in order to truly take everything in and enjoy. To drive the point home on how good of a tale this is, my wife is an avid book reader who never picks up a comic book. She read this one and can not stop talking about it and feels February is too long of a wait for part two to be released. I completely agree and so will you if you pick it up.